Bubble lockets, pools of light, crystal balls – whatever you choose to call them, these charming rock crystal pendants enchant the eye and capture the imagination. 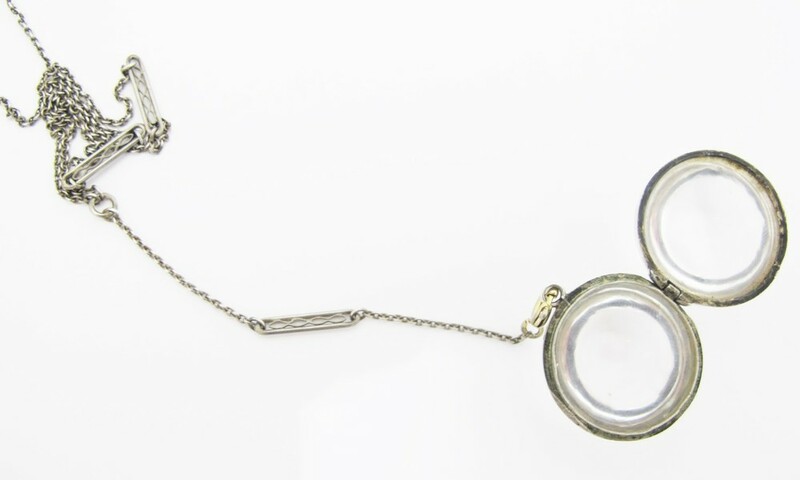 Left: Vintage rock crystal locket with silver bezel on Art Deco steel chain. Right: 19th century rock crystal locket with 18k yellow gold floral bezel on 10k antique watch chain. 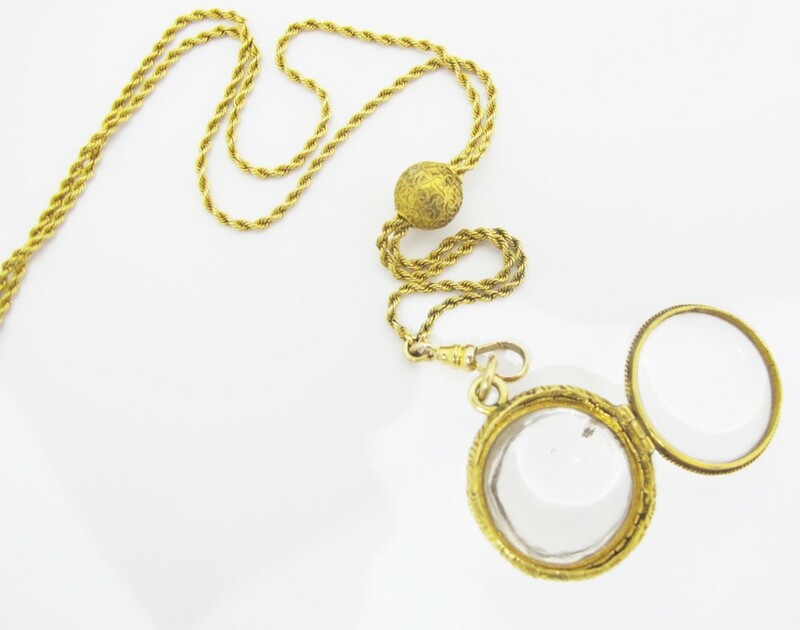 Lockets and chains sold separately, all available at Gray & Davis..
Popular from the Victorian era through the 1930s, many of these crystal orbs are hinged and open to reveal secret compartments. Photographs, pressed flowers and even maps are commonly placed inside and magnified through the convex lens. According to the famed gemologist G.F. Kunz, ancient Mexican peoples believed that “the souls of both living and dead people dwell in crystal.” After becoming entranced by a 100 year old portrait enclosed in one of our crystal lockets, I’m inclined to agree.